TransCanada has lost a bid to remove an injunction preventing work on the Keystone XL pipeline, news that could delay construction work on the $8-billion US project for a year. TransCanada has lost a bid to lift an injunction blocking work on the Keystone XL pipeline — a development that could delay construction work on the $8-billion US project for another year. The Calgary-based company and the U.S. State Department had filed an "urgent" motion to try to lift the injunction preventing pre-construction work. But on Friday, the U.S. Ninth Circuit Court of Appeals denied the motion. In court documents, TransCanada had said delays beyond March 15 could set the project back a whole year from its intended completion date in 2021, costing the company hundreds of millions of dollars in lost earnings. Following the decision, TransCanada said in a statement that "we are currently assessing the decision and considering our options moving forward." Lawyer Stephan Volker, who represents the Indigenous Environmental Network and the North Coast Rivers Alliance, both opponents of the project, called the appeal court's decision "pivotal." "It's outstanding," Volker told CBC News. "I think that it is the most important ruling in this case." Volker considers the decision critical because he does not believe U.S. President Donald Trump will be re-elected and said no other administration would sign off on such an "ecologically disastrous project." "I think it's highly unlikely the U.S. Supreme Court would overturn this ruling," Volker added. 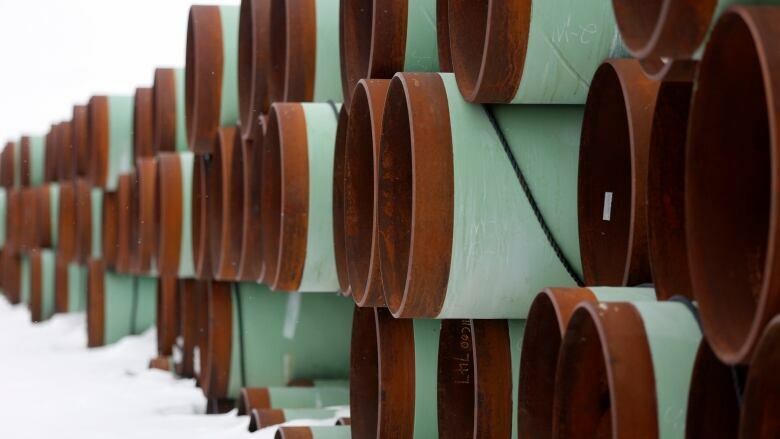 The Keystone XL pipeline would carry 830,000 barrels of crude a day from Hardisty, Alta., to Nebraska. The pipeline would then connect with the original Keystone that runs to refineries in Texas. The Obama administration denied Keystone XL's permits, but Trump breathed life back into the project after giving it his presidential thumbs-up. 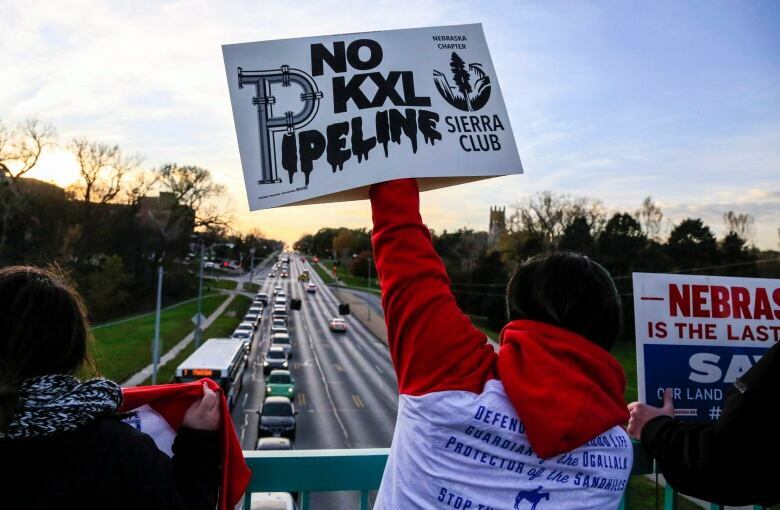 Last August, the project met another setback when U.S. District Court Judge Brian Morris ordered the U.S. State Department to do a full environmental review of a revised route for the Keystone XL crude oil pipeline. In November, Morris put a temporary halt on pre-construction work until the U.S. State Department completed its supplementary review, including potential adverse effects on climate change and wildlife. The following month, the Montana court gave the company permission to continue some pre-construction work such as engineering, awarding contracts and taking meetings. Still, according to one filing made to the court in January, TransCanada had to lay off about 650 contract workers from pre-construction activities such as pipe yard and workforce camp preparations. In February, the company requested the appeals court grant it relief from the injunction, asking for a decision by March 15. In a legal filing made earlier in the year, a TransCanada executive said the March date was key to starting construction by August. Failure to meet the deadline means it "will be unable to perform any construction in 2019." "A one-year delay in the construction schedule would impose very significant consequences on TransCanada," NorrieRamsay, TransCanada's senior vice-president of technical centre and liquid projects, wrote in the affidavit in January. Ramsay estimated a one-year delay would "result in lost earnings before interest, taxes, depreciation and amortization (EBITDA) of approximately $949 million US between March 2021 and March 2022, based on the minimum take-or-pay shipper commitment." "In addition, a one-year delay in construction of the pipeline would cause very substantial harm to third parties, including United States workers and TransCanada's customers that are relying on the current in-service date of the project," Ramsay said at the time.